The friendly staff at Philadelphia Retina Associates, formerly Deglin & Greene Retinal Center,welcomes your call and looks forward to serving you. If you have any questions about our services, please call our office at (215) 335-3088. To schedule an appointment, you can call us or use our secure online appointment request form. 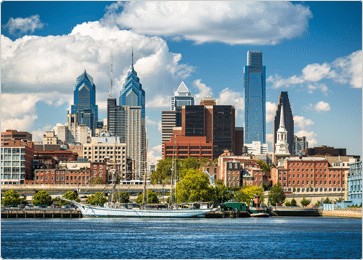 We have four locations to serve patients in the Philadelphia area. Select the location nearest you for more information. If you have an urgent medical need and need to talk to our doctors after our regular hours, please call our office at (215) 335-3088. A doctor from our practice is on call every day for emergencies. Please contact your insurance company or you may call our office at (215) 335-3088 to find out if we accept your insurance plan. If you have a question related to your bill or insurance, please contact our billing specialists at (215) 335-3088. Download the Physician Referral Form. Ophthalmologists at Philadelphia Retina Associates are affiliated with University of Pennsylvania's Scheie Eye Institute and Nazareth Hospital.